How do we usually perceive the world? How do we perceive the world after continuously using IDEA? IDEA is the highly powerful binaural listening program, provided by Sail In A Moment approach, and based on American scientific researches. It is a result of 30+ years of experience in electroacoustic with aim to improve humans’ mental well-being. The binaural listening method is known for over 100 years, but only in recent decades it gained on popularity because of its great benefits. It works in the dimension of the brain activity and it’s also called a “brain-building program”. Our perception of the world happens in the way that any brain activity takes place either within the logical – left brain hemisphere, or within emotional (intuitive) – right brain hemisphere. It seldom includes both brain hemispheres simultaneously to the same extent. That’s why we rarely can observe a situation as a creative whole in its full reality. IDEA synchronizes the activities of both brain hemispheres and by doing so helps us gain holistic creative experience of a life situation. It offers us a “new pair of glasses” that help us align our responses in a way that exclude automatic negative reactions such as stress, fear, or anger. In parallel, we start perceiving an expansion of awareness that everything in life happens for a reason and for one’s higher purpose. Many world-famous creatives like Thomas Edison or Albert Einstein knew that the portal to creativity lies in the deep relaxed state of alpha brain waves. Therefore they used the power of brain waves to elicit their creative potential. IDEA operates by transmitting set of tones over the headphones to users’ ears. Every ear receives a different tone and the combination of those two tones – the magical 3rd tone works to synchronize the activities of both brain hemispheres, opening the way for creativity flow. Additionally, IDEA offers a multi – dimentional experience, corresponding with the state of consciousness that usually appears in the late stage of traditional meditative practice (after 10 years of meditation or more). 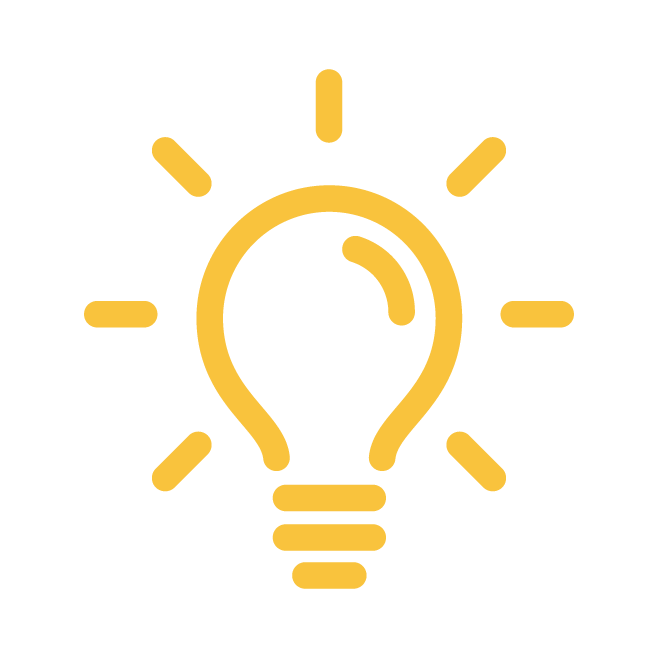 IDEA stimulates your brain through all stages of brain activity from beta (awake state), alpha, theta and ultimately to delta stage of brain electrical activity. Expansion of awareness and overall sense of well-being are experiences connected with the IDEA practice. There’s a sound of rain added to IDEA that focuses your attention to something without (concrete) specific content (so called “Ganzfeld Effekt” – whole field effect). It is suitable for everyone regardless of age and medical condition and does not carry any side effects. Any discomfort that might appear during IDEA program is not caused by the program, rather it is a sign of releasing all tension that is accumulated in one’s nervous system. IDEA is an integral development program which consists of 4 subprograms IDEA, RADIANCE, INSIGHT- 1 and INSIGHT – 2. Every subprogram consists of 4 stages. Each stage gives its “dosage” of stimulation that is gradually increasing with every next stage. In that way, the brain receives more intense stimulation, producing new neural connections, neurotransmitters, that enable the brain to function in theta and delta patterns in the awake state. That’s why this program is also called “the brain-building program” and it is not recommended to skip subprograms or stages. Each stage comes in the form of an audio file with average duration of 20-30 minutes. Practitioners are advised to listen to the audio regularly every day, best in the morning right after awakening, or in the evening prior to sleep. IDEA should be listened to only through stereo headphones.  It’s recommended to use good quality music headphones, such as shown on Picture no. 1. However, basic stereo headphones such as on Picture no. 2 can be used as well. Headphones on the Picture no. 3 are not suitable for listening to the IDEA program. Also, the program will not have any effect if listened to over stereo speakers. Sit comfortably so that your spine is erect (do not lie down). Plug in the headphones into the device where you have previously stored IDEA – e.g. an mp3 player, a tablet, a laptop etc.. Play the adequate program depending on your current level. Adjust the volume so that the reproduced sounds are comfortable, as if you were listening to the rain throughout an open window. Binaural tones have been masked by the sound of rain, and in the early levels can not be noticed whilst listening. As the program starts playing, close your eyes, relax and focus your attention to your breathing. By doing so, you will mentally separate yourself from a distracting external environment. Program should be listened to at least once per day. Recommended is listening twice per day, once in the morning and once in the evening. c) You seem not to feel any kind of effect from the program. When all of the above become valid, it means you are ready to start listening to the next level.